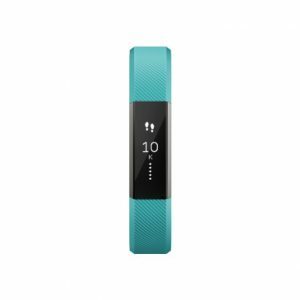 Review of the Fitbit Alta - How good is it? 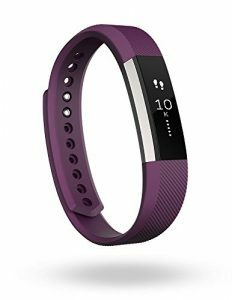 Be introduced in March 2016, Fitbit Alta is the symbol of the new Fitbit generation that brings to its targeted user the fashion style with all the necessary features remained. The Alta is suitable for the daily activities so there’s no surprise if it comes with an elegant and sporty look. Hence, what are the points that we should think about when looking at this new device of Fitbit fitness tracker? The Alta at a glance. Fitbit has been successful, at least in giving Alta an elegant design. The slim band, come along with the black rectangle screen can make your wearable device more fit on your wrist. This also makes you feel more comfortable, since you should wear it all the day and night. Some different size such as small, large, X-large, are provided for choosing as the previous Fitbit versions. And, I’d love to see several options available to the band, like colors (black, blue, plum, and teal), or materials (classic, leather and metal). The rectangle tap screen enables the device to display long text message, means be more interactive with user only via tapping action. I’ve got one with small size and plum, classic band, and feel really satisfied with my daily activities. And I am going to get one more replaceable band with either leather or metal, maybe the white metal one will be chosen, since it helps me to gain the style in some official events or when I go to my office. There are holes on the band to make it’s easy to wear, all the thing you have to do only is selecting the most fit, then press the lock until it sounds a soft click. I met a problem since it’s hard for me to press the lock to the holes for the very first time, but after someday using, it becomes easier and not being the matter. What is displaying on the Alta tap screen? By default, the Alta displays date and time, steps count, distance, calories burned and active minutes. Each of that information will be shown individually and sequentially each time you tab on the screen. Fitbit support you to change the order of displaying, or determine which information of the above will be shown or hidden, by the settings inside the Fitbit app installed on your smart phone. What does the Alta track? I appreciate the exact of steps count feature, since the device itself can realize what are the exact steps taken by the owner, not being depended on the distance made while the owner using other vehicle, like moving by car as an example. But if I try moving by bicycle, it’s detected exactly as an exercise, time and calories is encountered. So you can count on the tracking result which is bringing by the Alta. If you expected a wearable device, that can help tracking and monitoring your heart rate, Alta should NOT be a choice. That means the heart rate monitor feature is not included in this brand-new version. It is recommended to choose the Charge HR version instead, if you really need the heart rate tracking feature. How about the extra feature? Beside the main features of activities tracking, Alta also is equipped with some other extra features that can help and support you more in your real life. First of all, you can set the alarm. Just open the Fitbit app on your smart phone and add an alarm, sync the alarm to your Alta (via Bluetooth), then go to bed. Your Alta will wake you up on time with the silent, vibrating alarm right on your wrist without waking up your partner. Secondary, the feature of mobile notification is another plus. As long as your Alta and smart phone is connected using Bluetooth, it can notify you about the new call with caller’s ID, or new text message, with the right way of silent alarm. How private and convenient! The battery life is depended on the way you setting your Alta, or how you make it connects with the other device like smart phone or computer… Fitbit announce that the Alta’s battery life can span up to 5 days. And in reality, I have to recharge the device after 4-5 days, with about 1 – 2 hours of charging. This is an acceptable battery life, it will NOT bother you by being out of energy frequently. On the smart phone, Alta connected with the device using Bluetooth and sync to the user’s account on Fitbit.com via the Internet. But if you want to sync using your computer, there is a Bluetooth device comes along with your Alta kit, that can be plugged into the USB port. There are known issues of syncing on some specific Samsung and Sony Xperia devices, which are listed in the Alta guide by the Fitbit. But no worry, they are NOT serious and unsolvable, and only happen on some specified devices. In general, I highly appreciate this quite new-brand Fitbit Alta. It has an effective design with fashion look. The Alta is suitable for many people, including both man and woman, either being young or old, in elegant or sporty styles… Its features work exactly and provide user most of the necessary information, accept not having the heart rate monitor. 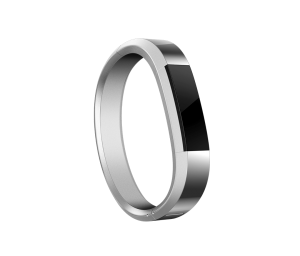 But for those who does not need to track his heart rate, Alta maybe the very good choice for the daily activity tracker.